Discussion in 'What Notebook Should I Buy?' started by victorgm, Jul 5, 2018. Go for Thinkpad E series laptops like E580. It has the SSD/HDD combo and you get can get it at a reasonable price. You can also check its review on a website called notebookcheck.net. It has undergone thorough testing and has received a very good rating. See here: https://www.notebookcheck.net/Lenovo-ThinkPad-E580-i7-8550U-RX-550-Laptop-Review.286856.0.html. 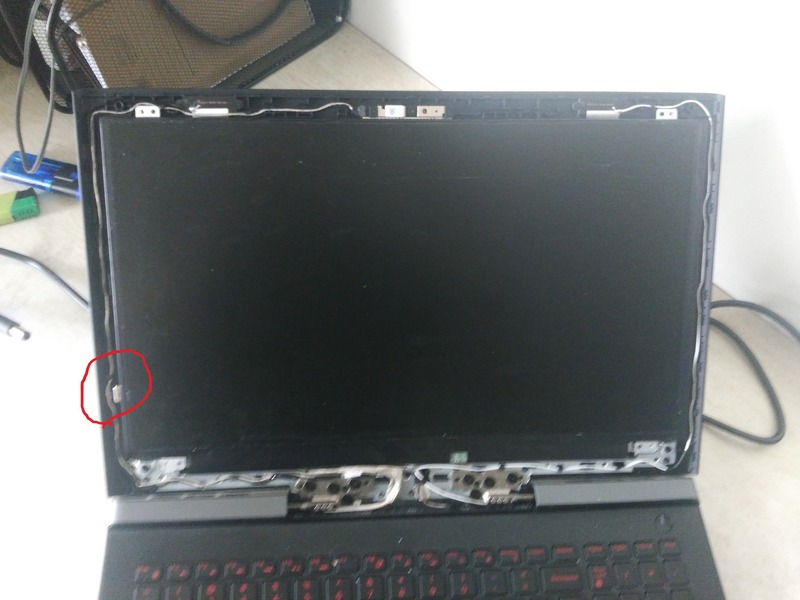 A 8th gen Dell G3 may be OK. It has quad core i5-8300H, GTX1050, 8g ram, 128g ssd+1t hdd. I didn't check the price of that machine but I believe it is around 900 euro. many thanks too all of you for your kind help! 9ac3 thanks! i already read it, and sadly the fact that the color accuracy is not so good (sRGB 58%, AdobeRGB 37%), the AMD graphic card (I would prefer a Nvidia), and that it gets hot under load made me dismiss it...should I maybe not? On the one hand we have the light Acer Swift 3 and Dell Inspiron 15, which are almost identical except that the second has the MX130 4GB instead of the MX150 2GB ... and reading in forums I still do not know which one is better..
On the other hand we have the heavy ones, being the most powerful/complete the Dell G5 15 (i7-8750H, 16GB Ram, GTX1050 Ti 4GB) and then come the Acer Aspire 7 (i5-8300H, 8GB Ram, GTX 1050 4GB), a slightly less powerful but with a 256GB SSD instead of 128GB. When trying to choose between these, the key would be to know if the Acer Swift 3 or the Dell Inspiron 15 7000 could play well in the use that my sister would give, at good temperatures and if the screen are good enough (matte, decent color accuracy). Obviously, the Dell G5 15 is more powerful in every way, but the first ones compensate with great mobility, and perhaps the difference in power for her use is not so important (as if it could be if she were going to play with it, which its not the case). What is your opinion? do you think that she could work fluidly with the two lighters? maybe by expanding the RAM to 16GB? Dell G5 is also matte. Also, get rid of the mx130 laptop. It's just a rebranded 940mx from maxwell generation. Precision 3520 has performance trails behind competitors, but consider Precision 3530 which performs much better. Vasudev and victorgm like this. Many thanks for your answer XeonPlanner! Would you recommend me the Precision above the Dell G5? would it not be better the "pack" i7-8750H+16GB+GTX1050Ti than the i5-7440HQ+8GB+Quadro M620? Fair enough, but I honestly think that a cheap gaming laptop would be able to satisfy your sister's needs. I understand that weight is an issue here but you need the powerful H processors for stuff like CAD. If you want a gaming laptop then check out Acer Helios 300. It has a very high sRGB and Adobe RGB coverage and comes with a GTX 1060. Avoid maxwell and kaby lake i5. They are absolutely no-go if you want to buy a new laptop at 2018. If I need to compare between G5 and 3520, I'll definitely choose G5. But if you have a little more to spare, I would recommend precision 3530, with i7-8750h and quadro p600. Price is around 1100-1200 euro. Many thanks again guys! i really appreciate your continued support! I was going to tell my sister to buy the Dell G5 15, as its the most powerful/complete for the price including 16GB Ram, but I´m not happy about the screen as it only offers 57% sRGB and 36% AdobeRGB...and if she is going to work with Photoshop and architecture panels for competitions, its kind of important that the color is moreless accurate (although in the end the printer/ploter does what he wants with the colors). While searching I´ve found this Acer Aspire V15, whose screen (matte) offers a better color calibration = 85% sRGB and 56% AdobeRGB. Comparing it with the Dell G5 15, for the same price and weight, the Aspire V15 has a I7-7700HQ instead of i7-8750H and only 8GB (2x4GB) RAM instead of 16GB, but it has a better display (85% sRGB vs 57%), a bigger SSD loosing the HDD (512GB vs 128GB+1TB) and a better GPU (GTX1060 6GB vs GTX1050Ti 4GB). What do you think about this option? we could always upgrade the RAM in the future if necessary (it comes with 2x4GB and just 2 slots...so we should buy 2x8GB)...and she already has an external HDD...does the better screen + better GPU worth the lack of 16GB Ram and the downgrade from i7-8750H to i7-7700HQ? It is actually pretty simple to change the screen of G5. Look at this pic and you'll immediately understand how to do. Purchase an aftermarket screen with high color gamut and replace it. amidond, Apr 22, 2019 at 8:29 PM, in forum: What Notebook Should I Buy? Negoita Andrei, Apr 22, 2019 at 3:52 PM, in forum: What Notebook Should I Buy?